Thread: Speaker mounting in small 1.14 inch inner diameter hilts? So I'm looking to install an Ultimate FX sound card and preferably a full size speaker (1.1 inch diameter) in a smaller hilt with an inner diameter of 1.14 inches. There are two projects actually: a US Prophecy V2 and an US Aeon V2 for my sons. But I'm not sure the best way to mount & isolate the speaker. I mean, it's not like you can just hot glue the speaker to the battery pack, or fire a screw into the back of the speaker. Has anyone ever seen an effective way of mounting a speaker using something other than an MHS speaker mount sold by TCSS (which are obviously too big for this application)? 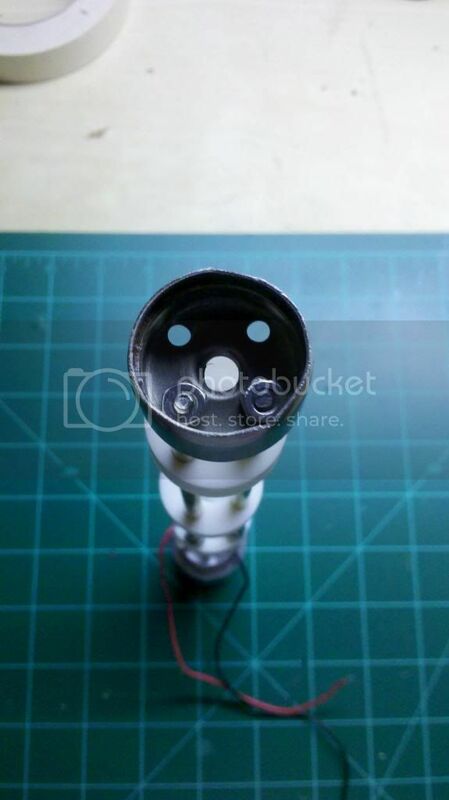 I really like the new V6 MHS Speaker Mount (http://www.thecustomsabershop.com/MH...t-V6-P892.aspx), especially the way it is designed so that you can use a piece of tube guard made for T8 lamps to protect the battery and sound module. It occurs to me that this tube guard is probably the right diameter (approx 1.14 inches) to act as a housing/chassis for my small diameter hilt. 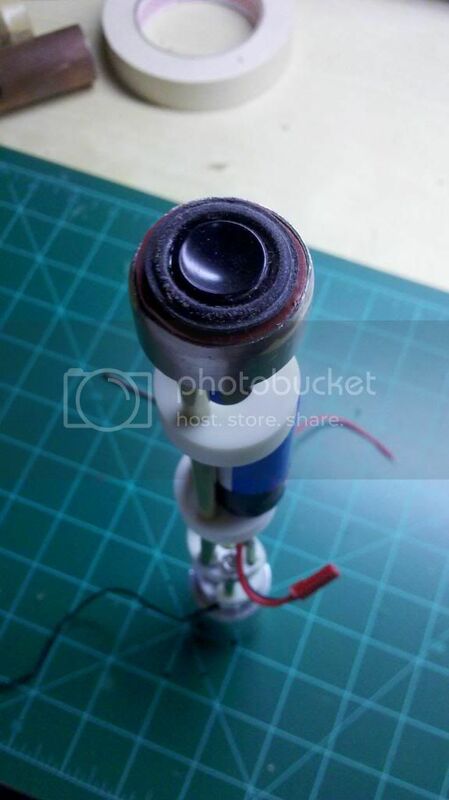 I would just need to hot glue the speaker rim to the tube and build a harness for the battery and sound card to either sit in the tube with the speaker, or attach to the speaker tube holder. 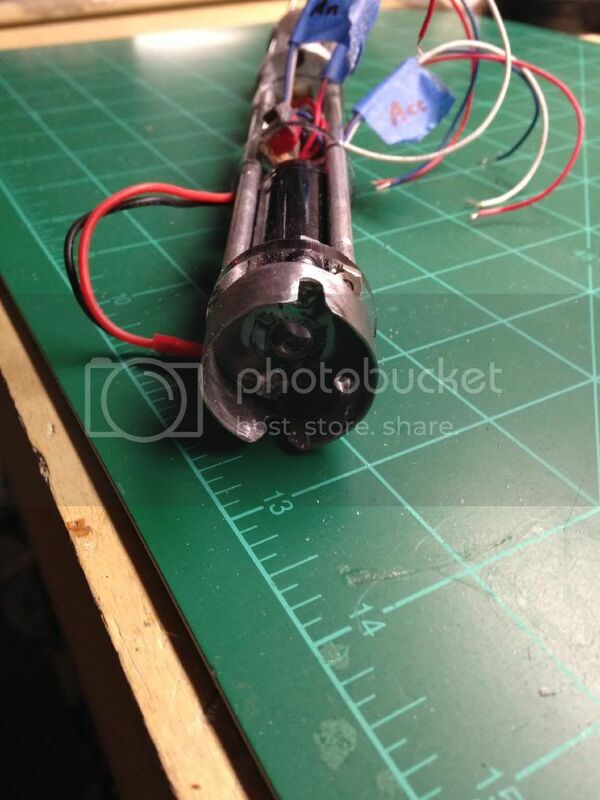 Does anyone know where you can purchase the T8 Lamp tube guards? Or something similar? Any suggestions, directions, or advice is welcome. Thanks in advance for your help. I've done a couple small speaker holders, but all were part of a chassis. Both of these examples are metal. PVC end caps also work well as speaker holders when you sand them down. If you use a metal pipe piece, be wary of shorts if your speaker contacts touch the sides. 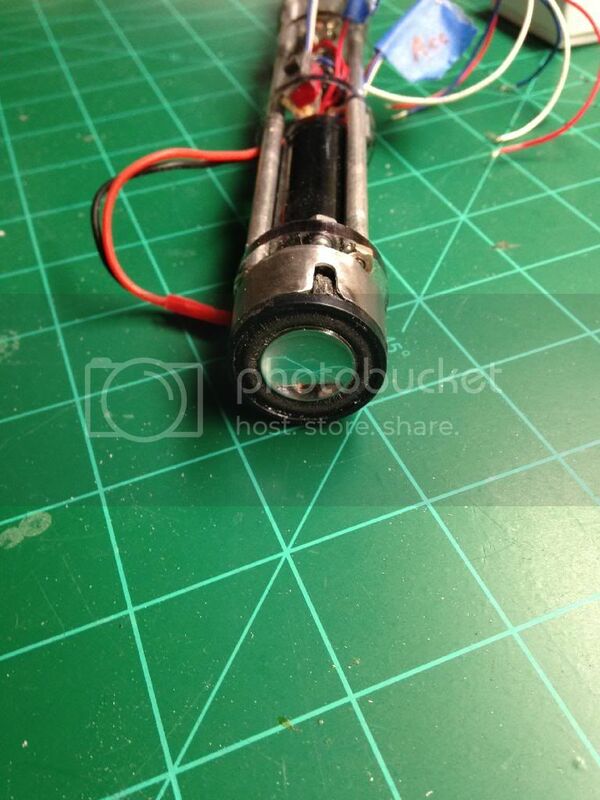 This one is 1 inch in diameter using a mini speaker and the end of a curtain rod. I put a rubber gasket around the bottom of the speaker, cut to fit. With that on, it fit snugly in the curtain rod piece. I've also used a piece of 1 1/4" pipe from an old desk. I put hot glue around the base of the 2W speaker to make that fit snugly in the holder. Thanks for the insight. I think I'll try to stay away from using a metal speaker holder. Put I'll look into PVC options at Home Depot. And hot glue or a gasket to hold it in place.